Offered by: Custom Realty and Loans Inc.
Homes for sale in Carmichael- Patty Baeta – Dunnigan Realtors. 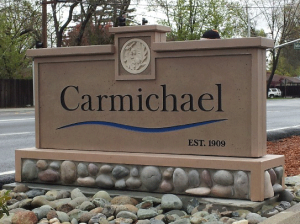 Carmichael is an affluent suburb in the Greater Sacramento metropolitan area, offering buyers a opportunity to live in a marvelous community. The suburb encompasses 17 square miles and has a zip code population of 72,000. It has one of only two regional libraries in Sacramento County, a trauma center, Mercy San Juan Medical Center, is home to one of the top school districts in the state, San Juan Unified School District, has a 320-acre public golf course, the Effie Yeaw Nature Center, two excellent park districts, and a small business community consisting of retail, professional and service businesses. Carmichael Park is a major 38-acre park which includes 5 ball fields and 6 tennis courts and a disc golf course. The Community Clubhouse, Veterans’ Memorial Building, the Daniel Bishop Memorial Pavilion for the Performing Arts, and the Great Wall of Carmichael are all located within the park. [ A year-round farmers market is also located at the park every Sunday. The Chautauqua Playhouse in the La Sierra Community Center presents shows comedies, dramas, and musicals. In addition, it has a children’s theater. 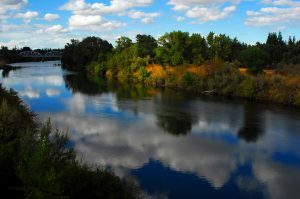 A portion of the American River Bike Trail traverses Carmichael near the southern community boundary. The bike trail is a popular multi-use recreational facility as well as by bicycle commuters. Have More Questions About Carmichael, CA?